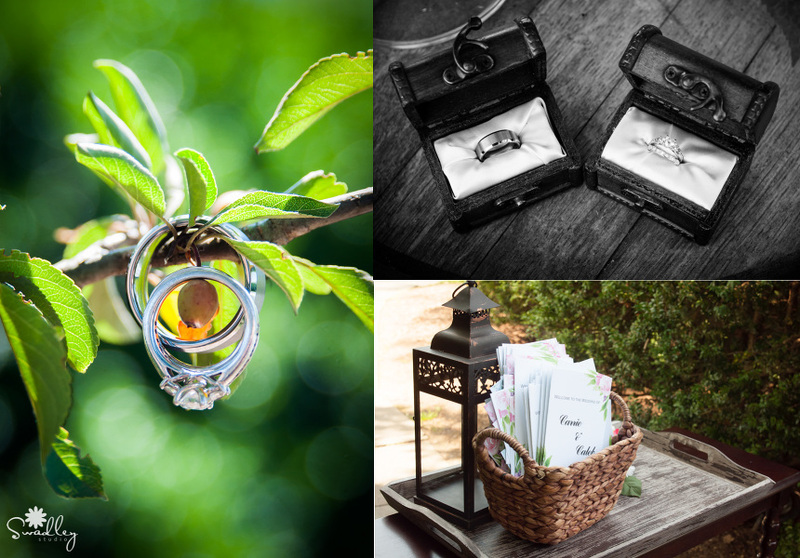 Today we are sharing a true fairytale wedding at the Museum of the Shenandoah Valley in Winchester, VA. Carrie was one of the most phenomenal brides I have ever had the pleasure of working with! She was calm, graceful, yet totally fun and open to doing whatever needed to be done for the sake of pictures. And on this scorching hot 97 degree day with a heat index over 100 degrees, we all appreciated her smiling face even more. Carrie is an amateur photographer, and I loved that she placed so much emphasis on her wedding day photography. They opted for a First Look (yay, First Looks!!! ), so we had plenty of time for portraits even when the original timeline was delayed more than usual. I was a happy photographer for sure (and when I’m happy, Jon is happy, so that makes two happy photographers haha!) If you missed the First Look blog post last month, be sure to check that out! 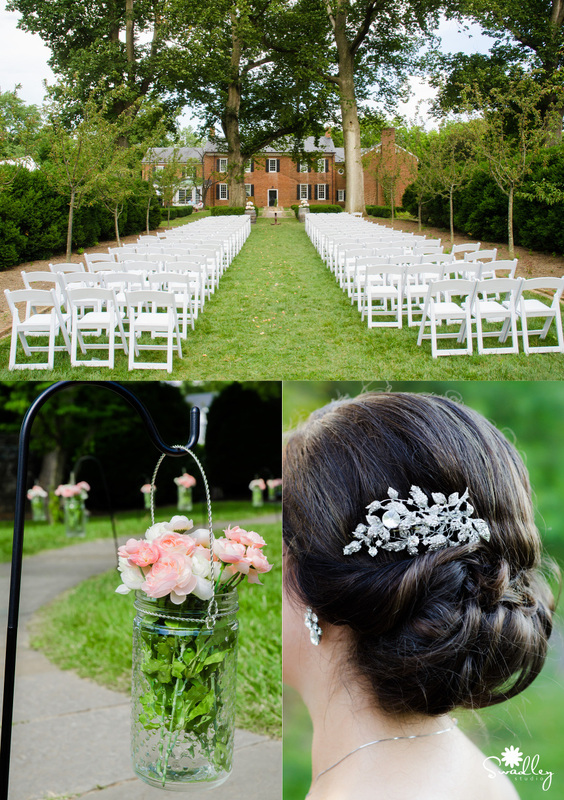 I love when our brides opt for the ceremony facing the Glen Burnie House at the Museum of the Shenandoah Valley! So elegant! I loved this idea of signs for each bridesmaid with how they know Carrie. Cute! Seriously, who would ever think it was almost a hundred degrees out when Carrie looks this happy and amazing?!? What a perfect First Look! Tears, laughs and REAL emotions There were so many images, so I’ll just leave this link here again to a whole bunch more in case you missed it: First Look ! In case you missed the post, Carrie made coasters of her nature photography for her guests as wedding favors. I loved this so much, so I made sure to go around the grounds during dinner to get some images of what was in bloom on her wedding day. They took such great care of their littlest guests by providing them with their own table with lots of activities to keep them happy throughout the wedding reception. Best idea ever! I was a little jealous at all the fun they were having! AND…. the girls got their very own wedding veil! ADORBS!!!! Sodexo also provided cotton candy. So much fun! They made time during their reception to have family portraits taken for some of their guests. I thought this was such a sweet gesture. Also, I hear all the time when talking with parents that they don’t see family wedding portraits on our website and they get concerned that we don’t do those. WE DO!!! We just like posting the less traditional stuff on here. So, I thought I’d share some of Caleb & Carrie’s family portraits as well as some of the great portraits we got of their guests during the reception. The grounds of the Museum of the Shenandoah Valley at night are so serene. Thanks so much to Ashley from Wild Carrot Events for the perfect execution of the sparkler exit. We love it when these come together like they are supposed to!